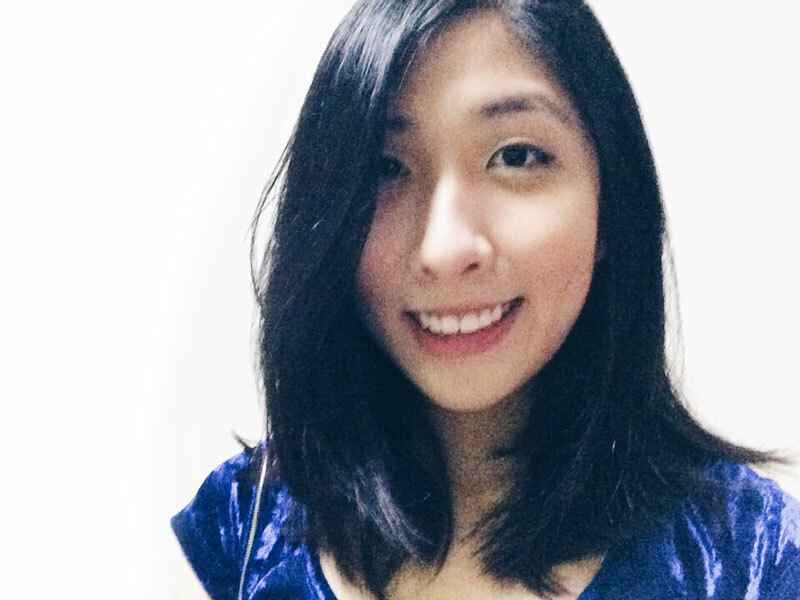 Singapore REAL Run – A New Challenge Awaits | JustRunLah! Dedicated to provide an “Ultimate Running Experience”, the REAL Run was incepted in 1996 by then Singapore Police Association for NSmen (SPANS) with the aim of promoting healthy lifestyle among the SPF National Servicemen through exercise. Over time, HomeTeamNS REAL Run expanded internationally to embrace like-minded athletes from various countries. 2007 – Sum of $500,000 was raised and donated to the President’s Challenge 2007. Race was moved from Sentosa to Changi Exhibition Centre to cater to more participants. President SR Nathan flagged off participants for 10km and 15km races. The HomeTeamNS REAL Run is the only race in Singapore that takes you over three different terrains. The race route presents participants with a combination of winding trails, hard asphalt, and the energy-sapping sand. The challenge is only compounded with inclement weather, but of course, it will take more than a downpour to discourage Singapore’s running community. Rightfully earning its title as Singapore’s toughest 10K race, the REAL Run is the ultimate running experience. 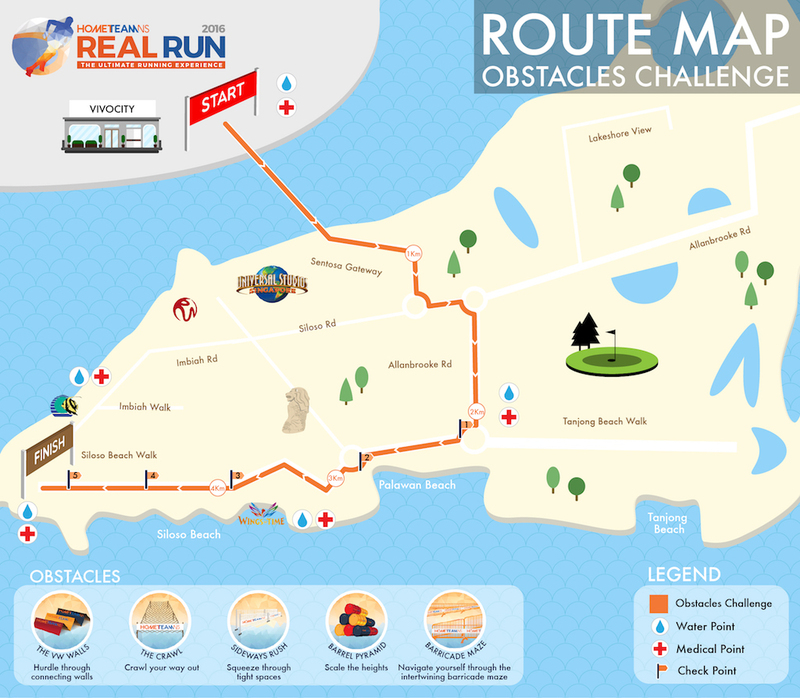 This year, HomeTeamNS REAL Run is back with a new obstacle challenge – the Lifesavers Route. The Lifesavers Route is a multi-terrain obstacle challenge which features a modified obstacle course over a 5km route. Traditionally, regulars, NSFs and NSmen have to complete an obstacle course during their training before they on the roles of lifesavers – Police officers, Firefighters, paramedics. The modified obstacle course allows us to have a taste of what our understated everyday heroes go through and also the HomeTeamNS experience. 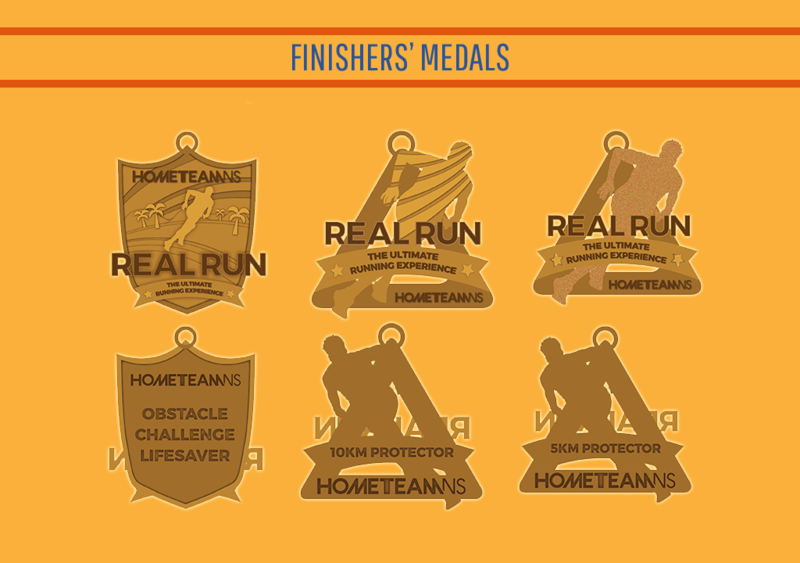 As an added challenge, there will also be runners from Home Team’s elite forces joining in the race. This is an opportunity for you to race with and against the best of our country’s lifesavers. Are you up for the REAL challenge? Do like HomeTeamNS REAL Club’s facebook page too to stay updated on the race. Don’t miss out on the contests that are going to be held leading up to the race! Join now and be the first to conquer HomeTeamNS’s Multi-Terrain Obstacle Challenge!